When he was introduced last week to university staff members and the Anchorage media, the new boss of UAA's athletic department said one of the things he intends to do in his new position is get back to basics. In related news, Greg Myford is living in a college dorm for the first time since 1985. Myford, 54, just wrapped up his first week in Anchorage, where he's experiencing temporary back-to-basic living arrangements in UAA's dorms until he finds something more permanent. "It's been very quiet," he said of the dormitories. That will change soon enough as the new school year begins, Myford's first at the helm of UAA's 13-sport athletic department. On Tuesday, he shared his game plan with department members and the media. "We'll follow the words of Thomas Edison, who said, 'There's a better way. Find it.' And we will," Myford said. "… I'm going to suggest that we all become students again in seeking better ways to get things done. … My intent is to ensure that phrases like, 'It's not my job,' or, 'We've always done it that way,' get transformed and replaced with a mindset that says how do we get this done?" That's not a bad approach for a department that less than two years ago considered killing some sports, including its Division I hockey program, as a response to deep budget cuts across the University of Alaska system. In an interview two months ago after he was hired by UAA, Myford said financial stability requires more than simply reducing expenses. Fundraising, ticket sales and sponsorships are also key components, he said. And those things are right in Myford's wheelhouse. He comes to UAA after five years with IMG College, the world's biggest sports marketing company. He focused on sponsorships and multimedia rights for several southeast universities, most recently Florida State. Raised in Pennsylvania by career educators, Myford graduated from Penn State with a degree in broadcast journalism and spent his early career in the cable TV industry and then 10 years with Palace Sports and Entertainment, a Michigan company that owns the Detroit Pistons. Myford spent nearly a decade as an associate athletic director at Penn State and was there in the aftermath of the Jerry Sandusky scandal. "One of the things I took away from that is that during a time of difficulty and adversity, people don't expect miracles. But they do expect understanding," he told the Daily News earlier this summer. People don't expect miracles, but they do expect to be led. They expect leadership." 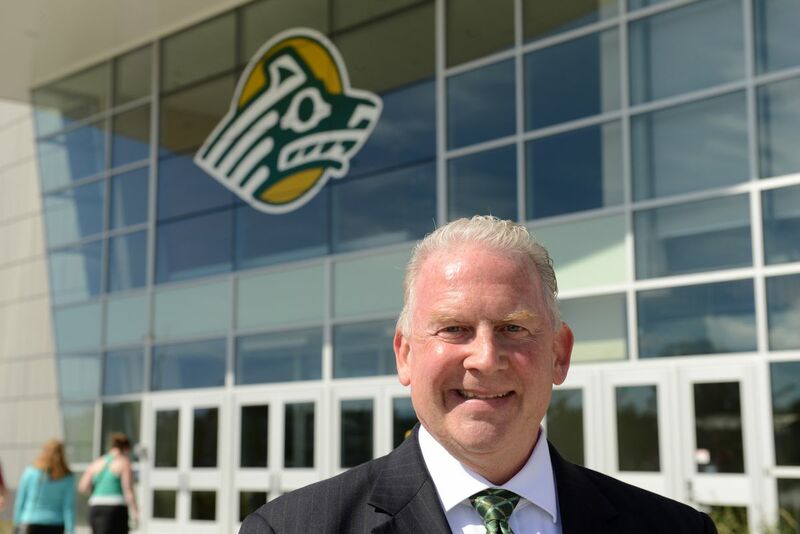 The ninth athletic director in UAA history, Myford will face budget difficulties in his new job; he will also helm a department that has enjoyed abundant success on the playing field. While UAA continues to struggle in Division I hockey, its Division II basketball, volleyball, track and cross country programs rank among some of the best in the nation. The Seawolves recently won their second straight all-sports trophy in the Great Northwest Athletic Conference — an award given to the school with the most athletic success in the 11-team Division II conference. Myford said he'll devote his early weeks on the job getting to know the city, the school and the staff. "For the next 100 days I'll be in what I call an aggressive listening tour as I get settled into the new position," he said. Myford replaces interim athletic director Tim McDiffett, who filled the position for one year after Keith Hackett's resignation in June of last year. He said his aim at UAA is to create a courteous and inclusive environment. "We're not here to suppress opinions, we're here to cultivate and celebrate our difference in opinions," Myford said. "We will abide by the thought that no one of us is as smart as all of us. We're going to have a department where the best idea wins."